Furnished and decorated house, with 4 bedrooms with air conditioning, two suites), 4 bathrooms, 1 toilet, full and functional kitchen, service area, living room and balcony with portable barbecue, pier for a boat up to 42 feet . The Village II condo is between a beach, with various nautical activities and leisure and the Channel, where is home. 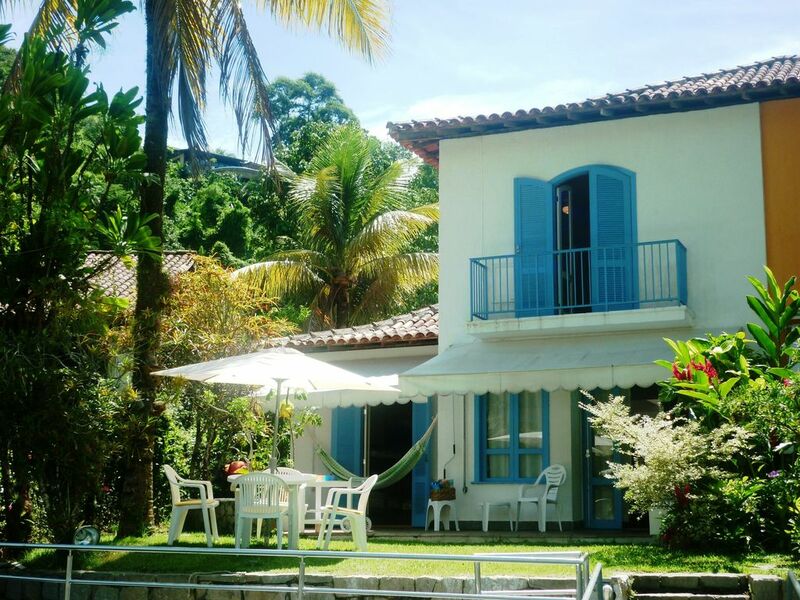 The location is privileged, 15 minutes by boat from Ilha Grande and the main beaches of the region. Parking with 2 private parking spaces. On the private beach of the condominium are available for rent surfboards stan-up, Canadian canoe and different types of vessels to ride. As tarifas podem sofrer alterações até o ato da reserva. O pagamento pode ser parcelado até a entrega das chaves.